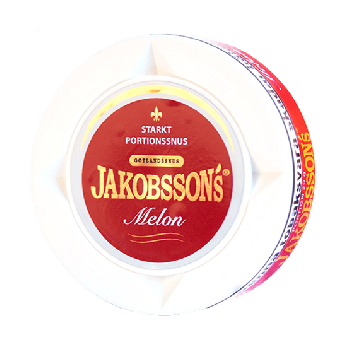 Jakobsson's Melon Strong Portion is a strong portion of snus with a clear melon flavor. The sweetness marries the well chosen ingredients. The snus has about double nicotine content if compared to what is usually considered as a standard.